Grab a QR Code today! Contact us on (03) 9686 2288. QR Codes are a powerful tool to use to help buyers find your home.  A QR Codes is an image that allows anyone with a mobile device to scan the image and load details about your property. It works just like a barcode. Simply scan the code and the information about your property stored on the code will be displayed. For example, you may wish to include a QR Code on your property marketing flyer handed out at open for inspections or on your property sign board. Doing so will allow potential buyers inspecting your home to easily load up more information, on the spot, on their mobile phone or tablet. The advantage of using a QR Code as part of your marketing is that it allows any potential buyer to immediately get instant access online to find out more about your property. You never now who might be interested in buying your home. 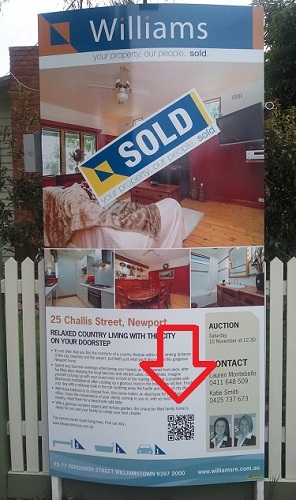 Just think of the advantage you will have when you display a QR Code on your sale board at the front of your home. Anybody walking past your home can easily and quickly scan the QR Code with their mobile phone to instantly load up photos and a floor plan. They can, quite literally, be standing out the front of your home and be interactively viewing an online tour of your home, all on their mobile device. Remove the frustration for buyers of not being able to find your home online, by making it super simple for them – they just scan the QR code and voila! Your property details are available to view instantly on their mobile device. Get the Jump on Your Competiton! Social Property Selling can quickly and easily create your unique QR Code for you, totally customised and specifically created for your property. Click Here to Contact Us Today. Or call our office on +61 3 9686 2288 to speak to us about getting your own unique QR Code.